Town boss Paul Lambert says it doesn't matter that the U23s and U18s are leading their respective leagues with developing players to go into the first team the important thing. 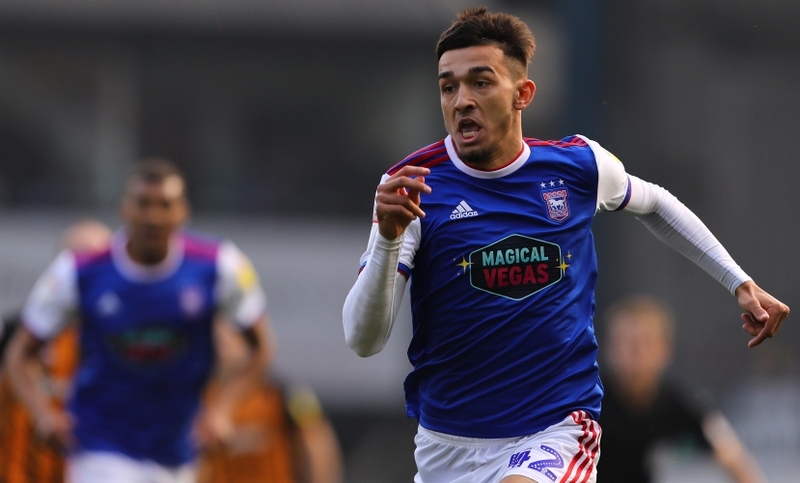 The U23s appear certain to finish top of the Professional Development League Two South table and had their place in the end-of-season play-offs confirmed earlier in the week. The U18s recently returned to the top of their table and cemented their play-off place with a 6-3 victory over Crewe Alexandra last weekend. The top two teams in the North and South sections of both the U23 (below, top) and U18 leagues play-off at the end of the season to crown an overall champion. “It doesn’t matter, you’ve got to get that out of your head,” Lambert said when quizzed on the teams’ table-topping seasons. “For me, it’s not the most important thing, that’s to get players into the first team. “Other managers might view that differently. I’m of the view that, OK, no problem, but the real trophy is getting kids into the first team. “I don’t want people to think the U23s or the U18s are holding their own, it’s getting them into the first team where it really, really matters. “If you asked Idris El Mizouni, for example, ‘What would you rather do, win your respective league or do you want to break into the first team?’. I’ll guarantee he’ll say he wants to break into the first team. “Forget that, it doesn’t matter to me. You can ask me that for the remaining time I’m at the this club. “It’ll be nice for them, OK, no problem, but how many players can we get through to the first team? That’s where I’ll judge anybody, what kids we can get through into that first team. El Mizouni’s season has illustrated the pathway that is there for young players having started the campaign in U18s, before breaking into the U23s and now having made two sub appearances in the first team. “We’ve just taken a chance on him,” Lambert reflected. “I’ve seen him in a few games, saw him in training and things like that. Let’s see what the kid’s got. “Some of the coaches have said he’s done well as well, but you’ve still got throw him in, say ‘OK, let’s see if you can sustain it’. Makes perfect sense, and I wouldn't be surprised if that's the no. 1 reason PL is staying - he can see a bright & very promising future for us following that path. And it'll be less risky trying them out in League 1 than the Ch'ship, obviously. It's a fair point. If you look at our 2005 FA Youth Cup Final winning team none made it to be Premier League players, although several did make a decent career from football (a handful from the Southampton team did make it big, e.g. Bale & Walcott). That said, breeding a winning mentality in the these teams is surely important too.